A breakthrough usually begins with a 'break-with'. We answer the need of companies who don’t want to settle for mass produced or cookie cutter training seminars. Our approach is unique in that we assist you in developing your Quality People, your Processes and your Products. Working together, we customize an integrated training system through on-site evaluations aimed at identifying and understanding your specific needs and objectives. We become your training department without any internal politics or agendas. Our training success is your bottom line success. Our mission is to develop customized training that is relevant, practical, and is results driven. Our style is to deliver highly interactive and high-energy learning environments where transformation takes place. Our promise is to deliver training workshops that are guaranteed to be on time, on target and on budget! Our specialty is to identify training solutions to equip your associates with the skills sets they need to meet performance goals which ultimately fulfill your larger business goals. Our results-based approach to seminar design provides leadership, consultation, and functions as in-house training with the all the benefits of outsourced talent to optimize the potential of your staff. "At Qp3 Training Systems we believe you have the right to expect results from training. We also firmly believe that one size does not fit all. It is our desire to learn the unique elements of your organization that will enable us to produce the most powerful and effective training possible. Our system incorporates the best trainers, materials and techniques in the industry in order to create an environment in which true learning takes place. 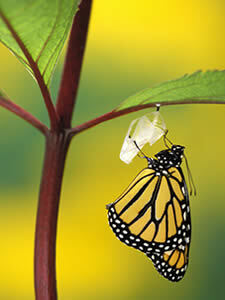 After all, the goal of training is not information but transformation."